Southern California Edison disclosed to state officials that a circuit operated by electricity supply company malfunctioned two minutes prior to the Woolsey fire’s eruption. In a statement released Monday, a CPUC spokesperson said they are continuing to monitor the fire and will “incorporate Edison’s incident report into its investigation” as to how the Woosley fire began. 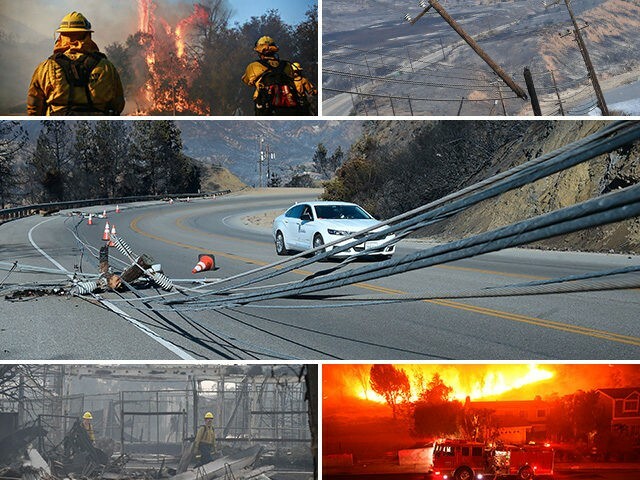 At least 9,000 Southern California Edison remain without power due to the damage its systems sustained amid the raging fire. The company notified customers in La Verne and Malibu that they would lose power Monday as firefighters struggle to contain the fire, says the utility company’s press representative Lois Pitter Bruce. “Crews are trying to gain access, but due to treacherous conditions, our restoration is not going to be as expedited as we’d like it to be,” Bruce told reporters. The Woolsey fire grew to more than 143 square miles with 20 percent containment as of Monday morning, according to the Associated Press. Authorities confirmed over the weekend the blaze’s death toll stands at two people. In Northern California, at 30 people are dead as the Camp Wire continues to rage. Relatives are conducting a manhunt to locate nearly 230 missing people. The fire, which destroyed most of the 27,000-strong city of Paradise, is now the most deadly fire in the state’s modern history.